Ibram an architect and sculptor working in New York’s Hudson Valley. I reclaim andbrrestore old deteriorated buildings and landscapes, redesigning and adaptingbrthem for contemporary use. I apply my passion for reclamation and recycling tobrcreating sculpture from scrap materials and obsolete utilitarian objects. ThebrTown of Stanford, where my studio is located, remains largely rural with anbrhistoric dependence upon and respect for work and the tools of labor. lt is abrplace that provides creative inspiration and access to discarded objects andbrdecaying materials ripe for transformation. I strive to identify and capturebrtheir unique character, spirit and embedded energy giving each work new formbrand meaning. Historically,brin rural commun­ities, respect for a harmonious relationship between thebrnatural and built environments has been the norm. Through my work, I continuebrthis important tradition by creating settings for my sculptures that respectbrthe local character and indigenous architecture as I integrate new structuresbrand works of art into existingbrlandscape. Thebrraw materials that I incorporate into my works have been previously weatheredbrand rusted by exposure to the elements. 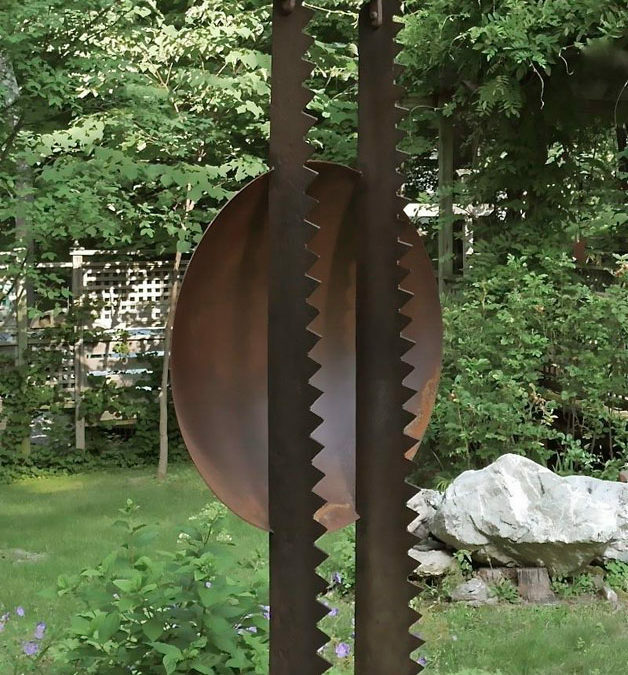 Placing my sculptures in the landscapebrfacilitates their return to nature, where its daily and seasonal cycles andbrrhythms further enhance their visual and emotional impact. The process of thebrcreation and placement of my sculptures represents the fundamental synergybrbetween art and ecology. I welcomebrvisitors to my studio and sculpture garden. To make an appointment, please callbr(917) 656-0153, or email me at conrad.levenson@gmail.com.